If you are applying for a US non-immigrant visa in India, you are required pay US visa fee either electronically as a bank transfer or in cash at designated CitiBank or Axis bank branches throughout India. 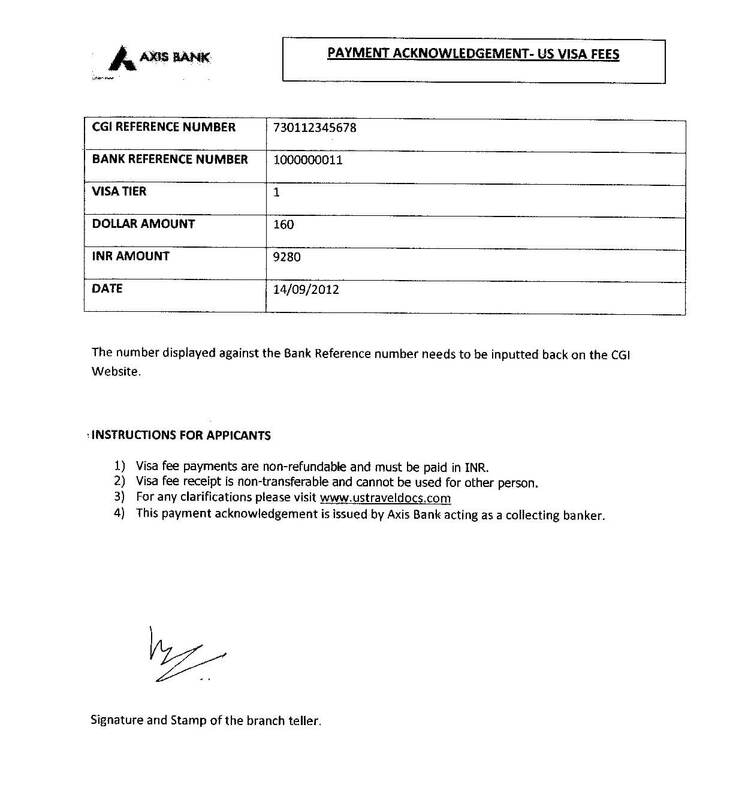 Following is a sample of US visa fee receipt you will receive once you pay the fee. This sample is for reference purpose only. The appearance, color, or content of this receipt is subject to change any time by the service provider. See details on how to pay US visa fee.